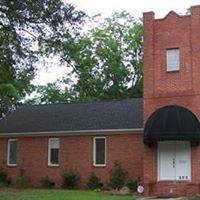 In the mid 1990s the Fayetteville Family Life Center gave birth to a satellite office in Lumberton NC. In these past years, the Robeson Family Counseling Center has come back up under the direction of the Fayetteville office. Both centers are part of the CareNet Counseling network of Wake Forest Baptist Health. Both provide quality faith-based counseling by licensed mental health professionals of strong faith backgrounds. Both are supported by local churches. Trish Carter, MSW, LCSW, has been with the Robseon Family Counseling Center since 2011. Trish has over 30 years of experience serving in all types of mental health agencies in Robeson County. 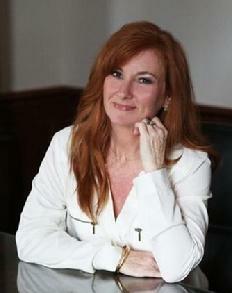 Trish received her BSW from UNC-Pembroke in 1987 and her MSW from East Carolina University in 1997. She became a Licensed Clinical Social Worker in 1993. Trish works with all age populations--children to older adults. Trish serves two days in the Lumberton office, and she also works two days out of the Pembroke Pediatrics office (812 Candy Road Park, Pembroke NC). Michelle R. Walters, MA, LPC, is a Licensed Professional Counselor who joined the Robeson Family Counseling Center in January 2017. She graduated from Liberty University with a Master’s degree in Professional Counseling. Her studies there included Integration of Theology and Psychology, Theology and Spirituality in Counseling, and Multicultural Counseling. Michelle has a special interest in educating and empowering individuals for better health and reducing mental health stigma that limits access or openness to services that can promote personal growth and healing. She has worked in a variety of clinical settings in the Lumberton and Fayetteville area, including her own Private Practice. 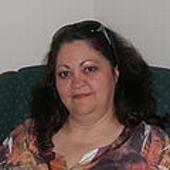 Michelle provides counseling for Individuals, couples, adolescents, adults, and older adults. She has specialized training in Mindfulness Based Stress Reduction (MBSR) through Duke Integrative Health, and has been certified as a Trauma Professional with the International Association of Trauma Professionals (IATP). Michelle has experience in helping with a variety of issues including Anxiety, Stress Management, Life stages/transitions, OCD, Trauma, Relationship challenges, and Grief/Loss. If you would like to make an appointment with Trish or Michelle at the Robeson Family Counseling Center, please call (910) 738-8558 or (910) 484-0176. If scheduled for a new client appointment, please see our Counseling Appointments page on this website for instructions and to download new client forms.